Terra Forming Terra: Where did Zika Virus Come from and Why is it a Problem in Brazil? Mosquito borne disease vectors continue to plague us but also are susceptible to concentrated control measures. A global public health initiative is likely the surest way to ultimately minimize human exposure. We have not got to that yet but we will. In the meantime we do have panic promotion out of the press. I do not think Zita will amount to much. however we still have Malaria to defeat//v. 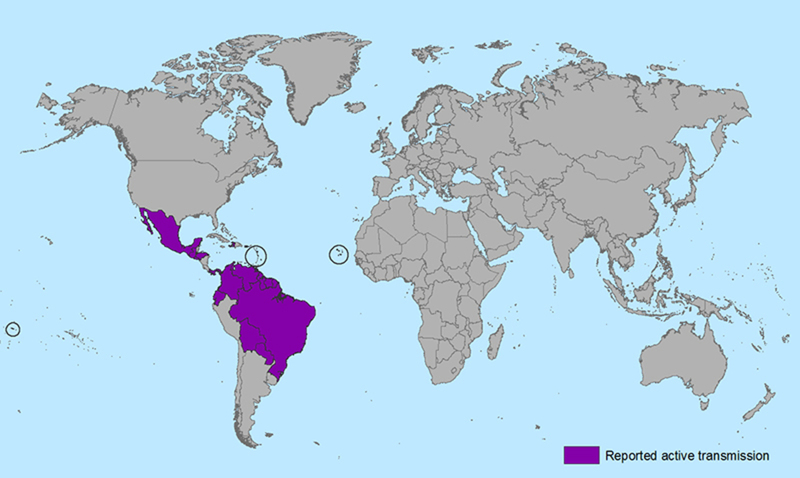 Countries and territories with active Zika virus transmission. Centers for Disease Control and Prevention The World Health Organization says it is likely that the virus will spread, as the mosquitoes that carry the virus are found in almost every country in the Americas. 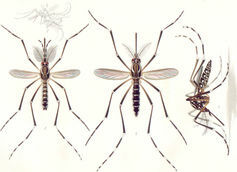 Aedes aegypti. Emil August Goeldi (1859-1917). via Wikimedia Commons. 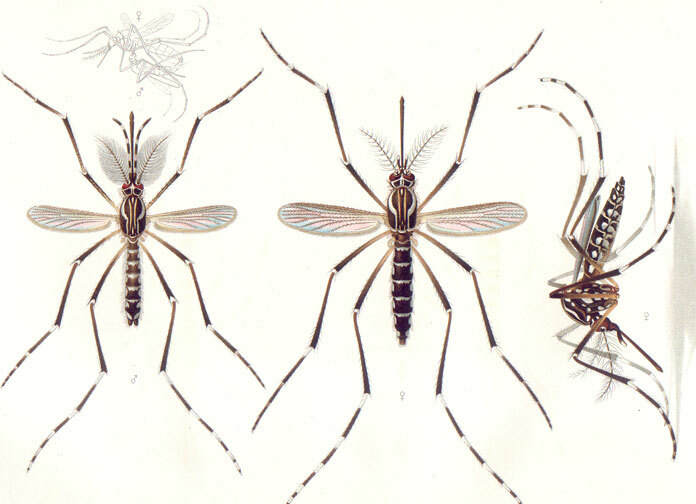 Zika has a lot in common with dengue and chikungunya, another emergent virus. All three originated from West and central Africa and Southeast Asia, but have recently expanded their range to include much of the tropics and subtropics globally. And they are all spread by the same species of mosquitoes. 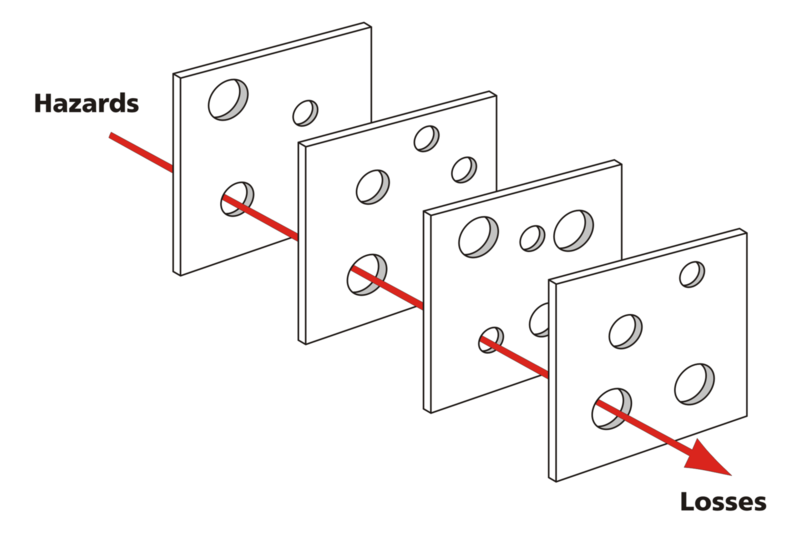 The Swiss cheese model of accident causation. 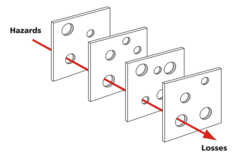 Davidmack via Wikimedia Commons, CC BY-SA One way to understand how Zika spread is to use something called the Swiss cheese model. Imagine a stack of Swiss cheese slices. The holes in each slice are a weakness, and throughout the stack, these holes aren’t the same size or the same shape. Problems arise when the holes align. 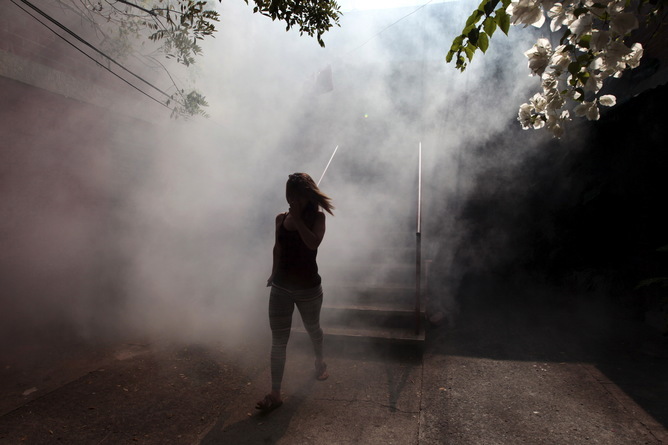 A woman walks away from her apartment as health workers fumigate the Altos del Cerro neighborhood as part of preventive measures against the Zika virus and other mosquito-borne diseases in Soyapango, El Salvador January 21, 2016. Jose Cabezas/Reuters For instance, in Latin America, continental mosquito eradication campaigns in the 1950s and 1960s led by the Pan American Health Organization conducted to battle yellow fever dramatically shrunk the range of Aedes aegypti. Following this success, however, interest in maintaining these mosquito control programs waned, and between 1980 and the 2000s the mosquito had made a full comeback.